Barcelona's hierarchy have criticised manager Ernesto Valverde over the management of Philippe Coutinho, who has supposedly hit 'rock bottom' at the Camp Nou. The Brazil international swapped Liverpool for Barcelona during the January transfer window last season, joining the Catalan giants in a €130m move which would see him fill the shoes of Neymar, who joined Paris Saint-Germain six months earlier. Sor far, Coutinho has failed to kick start his career with Barcelona, but aside from his largely underwhelming performances, Spanish radio station Cadena COPE (via Sport) report that the club's top brass are concerned with how the Brazilian is being managed by Valverde. The 26-year-old has fallen out of the team due to a combination of Ousmane Dembélé's recent form, as well as Barcelona's slight change in system. Valverde will often opt to use a third midfielder - either Arthur or Arturo Vidal - to provide extra cover alongside Ivan Rakitić and Sergio Busquets, instead of Coutinho. In a separate report, Marca claims that Coutinho has hit 'rock bottom' and point to an injury that was picked up against his former side Inter in the Champions League group stages which has proved to be somewhat of a catalyst for his current situation. 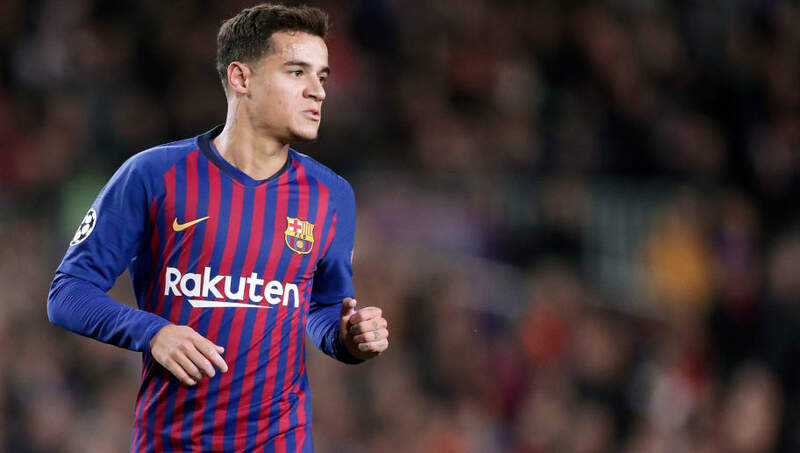 Coutinho's standing in Barcelona's squad what now has also seen the midfielder linked with moves away from Catalonia, including, most notably, stories which have tipped Manchester United as a likely destination for the former Liverpool star. While links with a move to Old Trafford were quickly scoffed at, news that Coutinho's situation is starting to turn heads among Barcelona's hierarchy could breathe new life into the rumour, although at this stage it remains just that, a rumour.